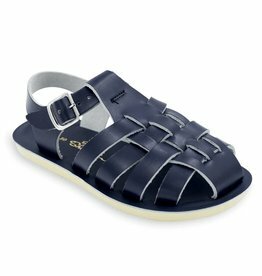 Made with 100% genuine leather uppers, rust-proof brass buckles, and non-slip moulded rubber soles, it's been said that Salt Water sandals are completely indestructible. We're pretty sure that's not true. For example, they probably wouldn't survive long in one of those fancy blenders they sell on the shopping channel. But for the purposes of your child (or you, for that matter) wearing them on their feet as intended — yes, they are virtually indestructible. You can wear them to the beach all day and splash around in the salty ocean, with the sand and the mud and the rocks and the barnacles and whatnot. They can hold their own in the forest, on the pavement, or pretty much anywhere human feet can go. 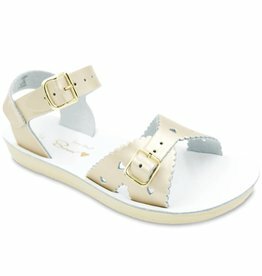 But here's what makes Salt Water sandals different from innumerable EVA, foam, or other tough, waterproof sandals: when the outdoor play is done, all you need to do is wipe them off with a damp cloth and you can wear them to your cousin's wedding, or a fancy restaurant, or get family portraits done—anywhere it's important to have nice footwear. Available in a wide variety of fashionable colours, they complement any wardrobe or event perfectly. Selling kids' clothing and footwear is our business, so take our word for it: it is a rare thing to strike that perfect balance between tough and beautiful. Salt Water sandals achieve both about as well as any brand we've ever seen. 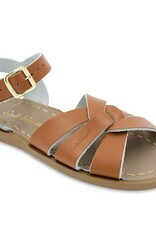 Saltwater Sandals are pretty much the dream kids shoe of the summer. 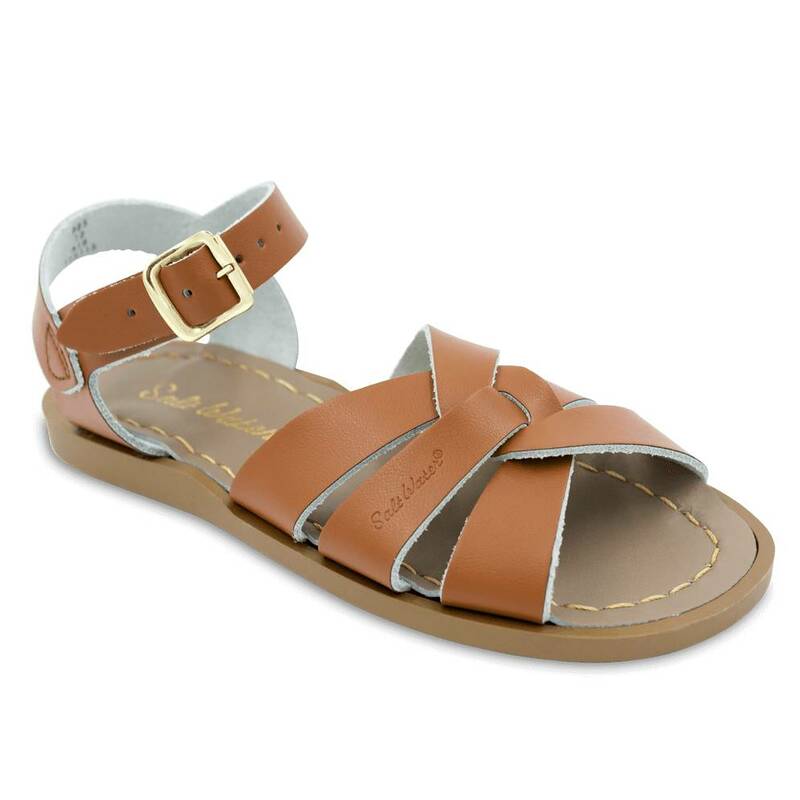 With 100% genuine leather uppers they not only look adorable enough to wear the nicest party clothes, but they are also tough enough to withstand a day at the beach.